This entry was posted in Coaching, Shooting and tagged basketball free throws, coaching basketball on December 6, 2014 by admin. 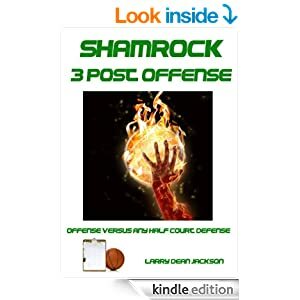 This entry was posted in Man-toMan Defense, Shooting and tagged basketball defense, basketball free throws, coaching basketball, pack defense on October 31, 2014 by admin. How Do You Incorporate Free Throws Into Your Practice? This entry was posted in Shooting and tagged basketball free throws, basketball shooting, coaching basketball on August 14, 2014 by admin. This entry was posted in Shooting and tagged basketball free throws, basketball shooting, coaching basketball on April 28, 2014 by admin. This entry was posted in Shooting and tagged basketball free throws, basketball shooting, coaching basketball on April 16, 2014 by admin. This entry was posted in Drills, Shooting and tagged basketball free throws, basketball shooting, coaching basketball on March 31, 2014 by admin. This entry was posted in Shooting and tagged basketball drills, basketball free throws, coaching basketball, free throw shooting on March 28, 2014 by admin. This entry was posted in Shooting and tagged basketball drills, basketball free throws, basketball shooting, coaching basketball on March 28, 2014 by admin. This entry was posted in Shooting and tagged basketball drills, basketball free throws, basketball shooting, coaching basketball, foul shots basketball on March 28, 2014 by admin.